The recognition of the Design Zentrum in Essen is a particularly prestigious award at the international level. For nearly 60 years, the Red Dot Award has selected the most stylish products from all over the world, to put them on show at the annual exhibition of the Red Dot Design Museum. The entrants have included the largest companies, so Apple, BMW, Philips already have exhibits on show in the Museum, and from this year so does the JULIUS-K9® brand. The Red Dot Award is awarded in three main categories: communication design, design concept and product design. The design of JULIUS-K9® has won the award in the latter category, ahead of numerous entries in the category. „With the creation of our joint-friendly harness, we wanted to bring the dog-human relationship to a new level. 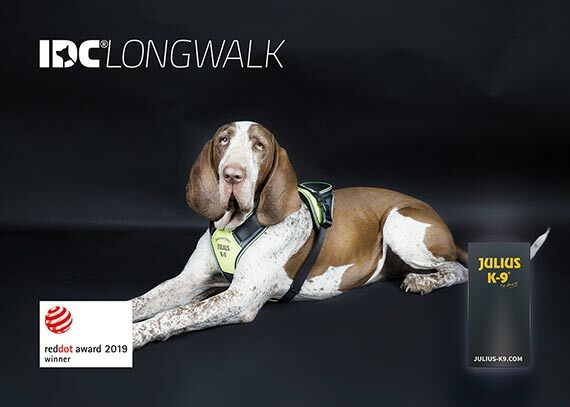 This award strengthens our belief that design and functionality are equally important features of our product.” – says Gyula Sebő, the founder of JULIUS-K9® on the recognition. The number of submitted entries is increasing year by year – this year it was over ten thousand in total -, so the jury did not have an easy job.